This book is an enchantment. From the very start it slowly catches you up in the circus itself. You can never imagine every inch of it, never know it, but you feel like a rêveur yourself, as if you’ve walked through the tents and tried the food and smelt the popcorn and chocolate mice and fire and all the strange perfumes of the circus. I think it’s that, more than anything, that made me love this book so much: I was interested in the fate of Celia and Marco, but mostly because it impacted the circus, and I couldn’t stand the idea of anything bad happening to the circus. 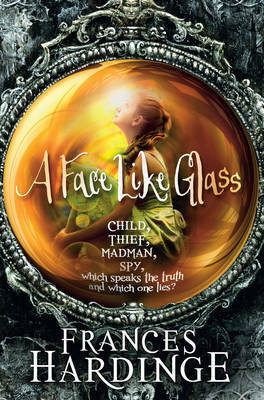 I did get caught up in the other parts of the plot too, don’t get me wrong: I loved the references to Merlin, which sort of clued me in on where certain things were going; I liked a lot of the characters, especially the ones with secrets; I loved all the details, and how they all came together. Possibly this is not quite a five star book, compared to some of the other books I’ve rated five stars, but it swept me off my feet, so I’m giving it five stars anyway. I found it magical — and I’m keeping a copy around, because I think I’ll reread it someday. This week’s theme for Top Ten Tuesday is “Ten Books For Readers Who Like Character Driven Novels”. I thought this one would be easy, initially, since characters are really important to me when I read, but it’s actually tougher than I thought. Pretty much anything by Guy Gavriel Kay. Even where his writing was less polished, more derivative, I fell completely in love with the characters. He’s one of the few authors who can reliably make me cry. The Farseer Trilogy, by Robin Hobb. Sure, there’s a lot of plot too, but Fitz’s voice is the most important aspect of the story, and you just want to reach in and bang his head against something to force the sense in, sometimes. Sunshine, Robin McKinley. Not only is it vampires-done-right, but it’s first person narration, and everything Sunshine is as a character shapes the way the plot turns out. 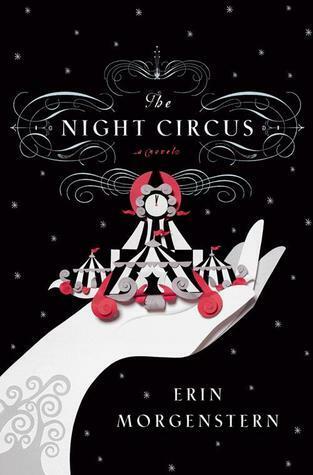 The Night Circus, Erin Morgenstern. If you count the circus as a character almost on its own (I do), then yeah, this one definitely counts. Seaward, Susan Cooper. I need to reread this soon. I loved it so much, and despite the shortness of the book, Cooper built up a relationship between the two main characters that I genuinely loved and wanted to follow. The Nine Tailors, Dorothy L. Sayers. Actually, as far as being character-driven goes, you’re best reading the whole series chronologically, to get a feel for the way everything fits together, for the way the characters develop. I don’t even think I’d necessarily say I’d start with this one. But it’s the one that really made me understand Lord Peter. Heart’s Blood, Juliet Marillier. This is the book where me and Marillier really clicked — I tried some before this one, and wasn’t impressed. But I got really involved with this, with the characters and their problems. The Hundred Thousand Kingdoms, N.K. Jemisin. The narration is brilliant, the way it all slowly comes together, and I love what Jemisin does with her main character, and with the characters of the gods around her. Particularly when it comes to the child-god, Sieh, who has to act in accord with his nature, or he suffers. Among Others, Jo Walton. I strongly connected with this because I connected with Mori. Watching her grow up and begin to understand her world better over the course of the novel is a delight. Wow, that actually took a lot of thought. Veeeery keen to see other people’s picks for this one!